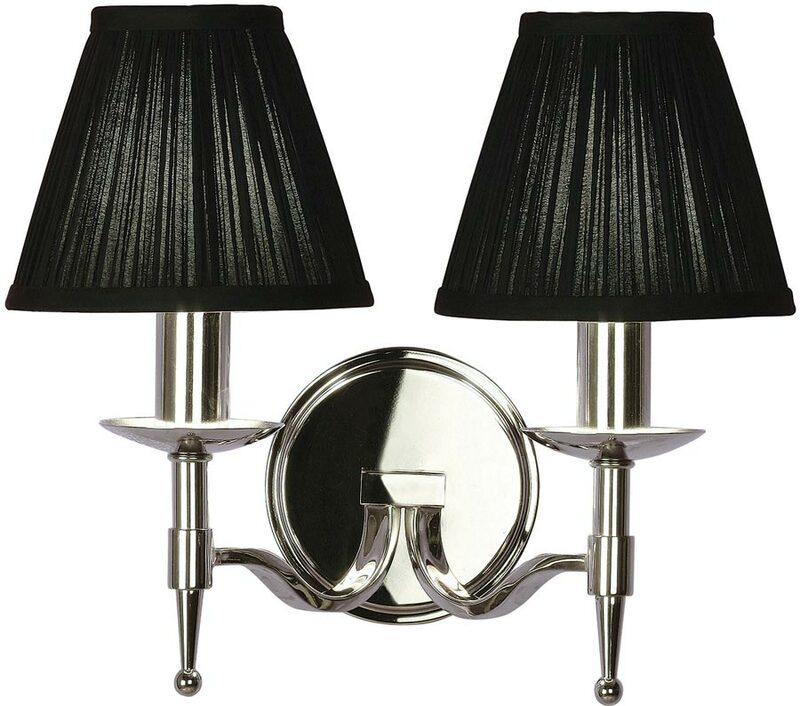 The Stanford traditional 2 lamp wall light in polished nickel, with beautifully curved arms and simple clean detailing, supplied with pleated black shades. A wonderful highly polished nickel double wall light, with a circular wall mount and two polished nickel flat section curved arms, featuring candle drips, candle tubes and lower drop finial. Supplied with 6-inch pleated black faux silk lamp shades. Part of the magnificent Stanford range from the New Classic Collection designed and manufactured by Interiors 1900, an opulent lighting design finished in polished nickel and supplied with black shades.